Bangor Cave, ca. 1930s. 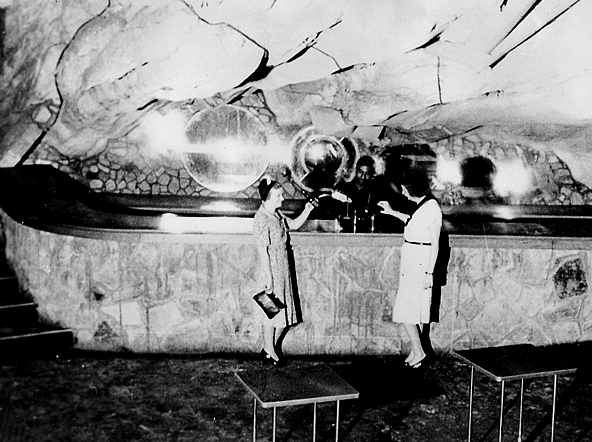 The entrance to the series of caves in Blount County was the site of an illegal nightclub and casino during the Prohibition Era until Alabama Governor Bibb Graves ordered the operation closed.